Kick off your visit on the 28th (Sat): explore and take pictures at Amethyst Mine Lapland, then look for all kinds of wild species at Kopara Reindeer Park, and then take an exotic tour of a safari tour. On the next day, explore the striking landscape of Pyha-Luosto National Park. For traveler tips, maps, photos, and more tourist information, you can read our Pyhatunturi day trip website . Christchurch, New Zealand to Pyhatunturi is an approximately 33-hour flight. The time zone difference moving from New Zealand Standard Time (NZST) to Eastern European Time (EET) is minus 10 hours. In September, daily temperatures in Pyhatunturi can reach 14°C, while at night they dip to 5°C. Cap off your sightseeing on the 29th (Sun) early enough to travel to Posio. Posio is a municipality of Finland. On the 30th (Mon), explore the striking landscape of Riisitunturi National Park. On the next day, take in the exciting artwork at Pentik Hill and then take in the dramatic natural features at Korouoma Canyon. To see where to stay, reviews, ratings, and tourist information, use the Posio journey tool . You can drive from Pyhatunturi to Posio in 2.5 hours. In September in Posio, expect temperatures between 13°C during the day and 5°C at night. Cap off your sightseeing on the 1st (Tue) early enough to travel to Inari. Step out of the city life by going to Urho Kekkonen National Park and Lake Inari. Gold Prospector Museum and Siida are good opportunities to explore the local culture. Change things up with a short trip to Saariselka Ski & Sport Resort in Saariselka (about 1h 05 min away). To find traveler tips, photos, and tourist information, go to the Inari holiday planner. You can drive from Posio to Inari in 5 hours. Alternatively, you can fly. In October, plan for daily highs up to 3°C, and evening lows to -2°C. Wrap up your sightseeing on the 5th (Sat) to allow time to travel to Levi. Take a break from the city and head to Elan Ski Shop & Rental and Levi Ski Resort. Eschew the tourist crowds and head to Nature & Wildlife Tours and Ounaskievari Reindeer Farm. Step out of Levi with an excursion to Keimiotunturi Fell in Muonio--about 42 minutes away. It doesn't end there: get your game on at G2 Ice Karting Levi and don't miss a visit to Giewont Husky Adventures. For other places to visit, where to stay, and more tourist information, read our Levi trip itinerary tool . 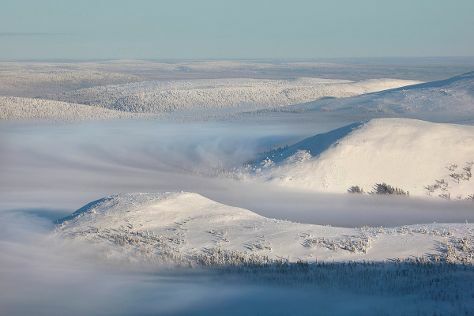 You can do a combination of shuttle, flight, and bus from Inari to Levi in 2.5 hours. Other options are to drive; or take a bus. In October, plan for daily highs up to 3°C, and evening lows to -3°C. Wrap up your sightseeing on the 8th (Tue) to allow time to drive to Akaslompolo. 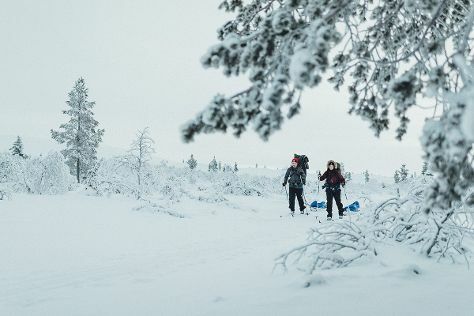 Step off the beaten path and head to Seven Fells Up and Pallas-Yllastunturi National Park. Take a break from the city and head to Scandinavian Adventures and Torassieppi Reindeer Farm & Cottages. To find more things to do, where to stay, maps, and tourist information, use the Akaslompolo trip planner. Drive from Levi to Akaslompolo in 1.5 hours. Alternatively, you can take a bus. In October in Akaslompolo, expect temperatures between 3°C during the day and -3°C at night. Finish your sightseeing early on the 11th (Fri) so you can drive to Rovaniemi. Eschew the tourist crowds and head to Feelapland and German Soldier s Cemetery. 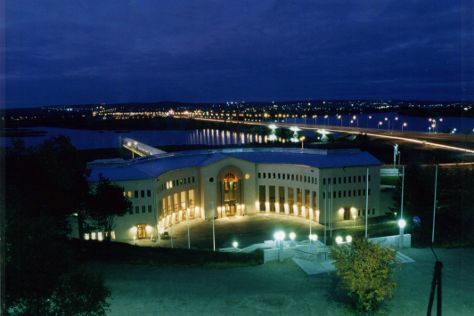 Your cultural itinerary includes sights like Arktikum and Rovaniemi Local History Museum. And it doesn't end there: admire the sheer force of Auttikongas, Head underground at Syvasenvaara Fell, stop by LAURI, and make a trip to Lordi's Square. To see ratings, more things to do, maps, and other tourist information, refer to the Rovaniemi road trip planning website . Traveling by car from Akaslompolo to Rovaniemi takes 2.5 hours. Alternatively, you can take a bus. In October, plan for daily highs up to 3°C, and evening lows to -1°C. Finish up your sightseeing early on the 15th (Tue) so you can travel back home.